Today my MR2 got a much needed oil and transmission fluid change. I had noticed that going into gear was grinding, sometimes. Gear shifts now feel smooth once again after the fluid change. I had been at least a month since I driven her, you kinda forget how much fun it is. 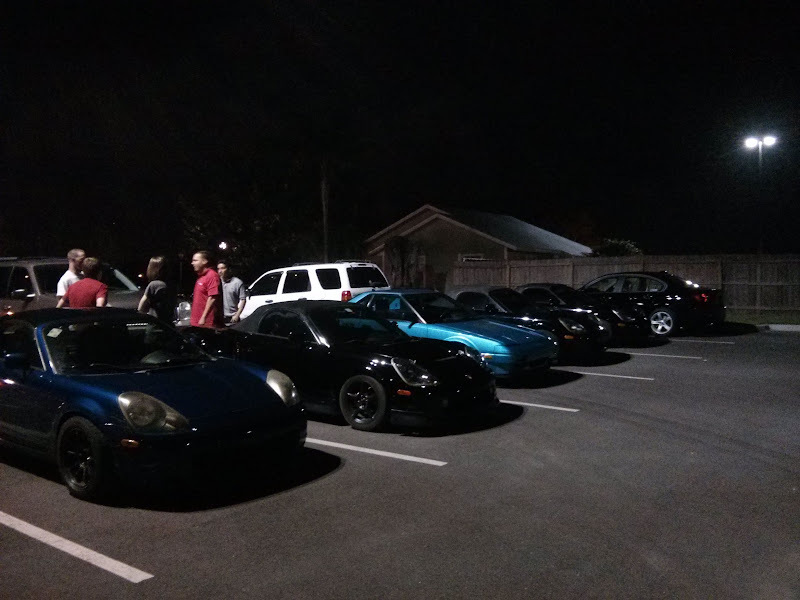 We had a great meet at a Lakeland park last weekend. There was a great turn out, good food, and good company to be had. Also I fixed my leak, ends up one of my hose clamps had come loose on a coolant line…fixed! Not much has been going on with my MR2 recently, she’s been taking me to work and back with no issue. Recently I noticed a small puddle under the car when pulling it out of the garage. It looks like I have an oil leak, maybe from between the head and block, also some kind of fluid was coming out from in between the engine and transmisison, not cool. We had a great meet up this weekend that pulled 10 cars together for lunch and a cruise through some back roads in Lakeland. It was nice to see a good mix of all three generations of MR2s. A fun fact about the dark blue MKI is that it was bought at the same dealership as my car, just one year later, and is a single owner car. Another great thing about this meet is that we had a fair number of engines represented including a 20v, 2GR, and 2ZZ. As expected it was “August in Florida” kinda hot but once we got moving it wasn’t too bad.